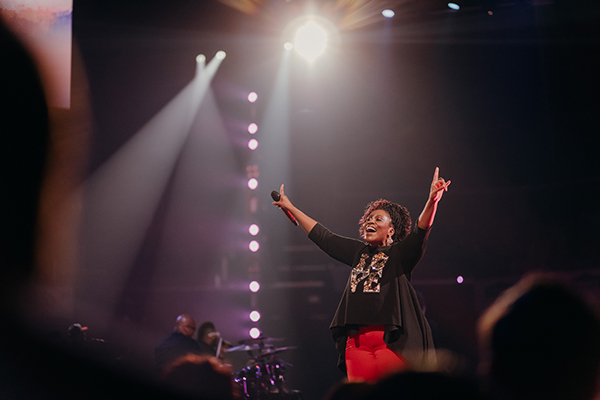 NASHVILLE, Tenn.— The Winter Jam Tour Spectacular, Christian music’s largest annual tour and one of the top first quarter outings in the world, kicked off earlier this month unveiling a 360º “in-the-round” center stage. A historic first for the tour—giving attendees an up-close and personal look at every angle— Winter Jam’s blockbuster lineup performs on a 120-foot stage facing the widest expanse of seats in each arena. 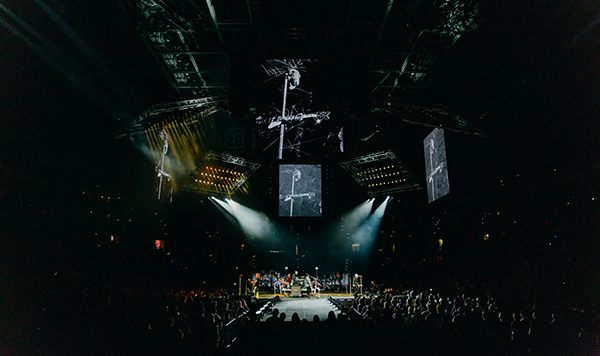 With its unique configuration also offering more floor seating in close proximity to the stage than ever before, Winter Jam 2019 is headlined by Christian music supergroup Newsboys United and features GRAMMY®-nominated former “American Idol” finalist Danny Gokey; GRAMMY®-winning recording artist and “Overcomer” hitmaker Mandisa; Northern Ireland’s “Count Every Blessing” worshippers Rend Collective; Skillet drummer and female solo rocker LEDGER; GRAMMY®-nominated tour creators and hosts NewSong; and Dove Award-nominated Gotee recording artist Hollyn. In addition, the Pre-Jam Party features hip-hop recording artist Ty Brasel; rockers Manic Drive; singer/songwriter Dan Bremnes; and special guest former Stellar Kart and Audio Adrenaline frontman Adam Agee. The tour also includes a Gospel presentation from Dare2Share speakers Greg Stier or Zane Black. Founded and hosted by GRAMMY®-nominated NewSong and promoted by Premier Productions, the Winter Jam 2019 Tour Spectacular is sponsored in part by ChildFund, Liberty University, Samaritan Ministries, “Unplanned” – the movie, NewReleaseToday, Life Book, CRU, Xtreme Conferences, Camp Electric, Premier Vacations & Events, Texas TransEastern and Wayne E. Bailey Produce. Winter Jam exploded from a single show in 1995 to become Christian music’s benchmark tour. For more than two decades, Winter Jam has helped provide a powerful platform for the Gospel in major arenas nationwide, consistently showcasing the genre’s biggest artists. For further information, visit jamtour.com. Follow Winter Jam on Facebook, Instagram and Twitter.